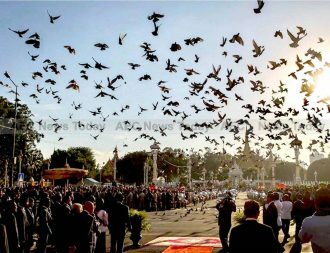 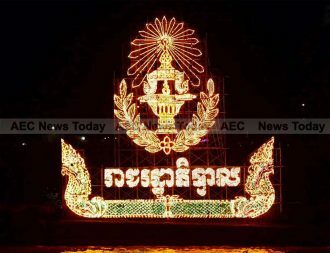 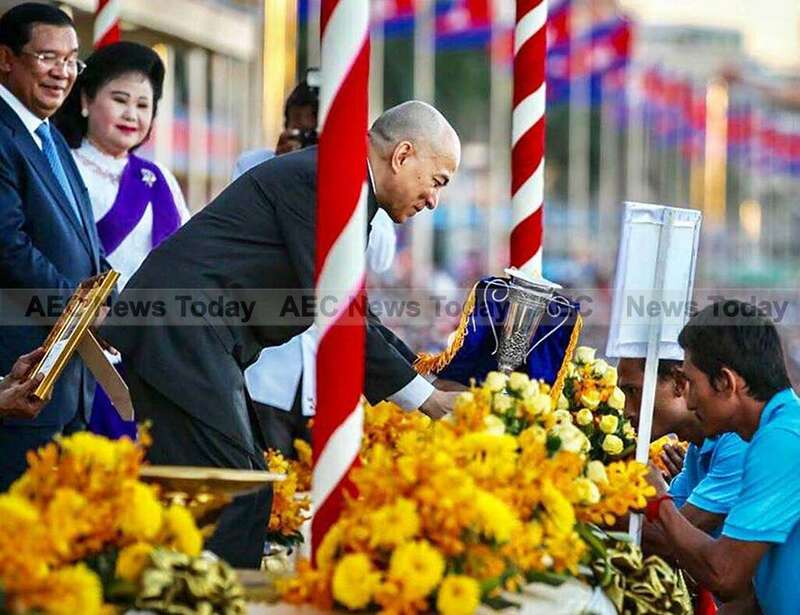 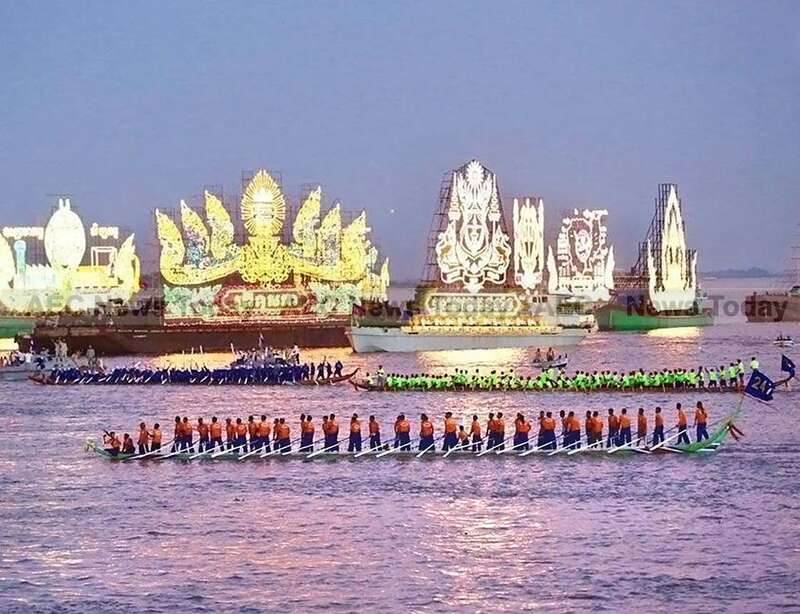 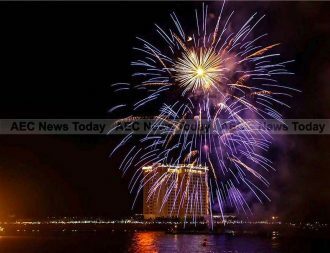 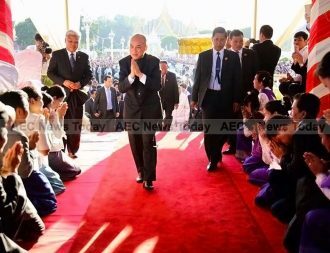 The Cambodia Water Festival (Bon Om Touk) kicks off today, the second successive year after a four year hiatus following a fatal stampede in 2010 which left more than 350 people dead, flooding in 2011 and 2013, mourning the death of King Norodom Shihanu in 2012, and insufficient water in 2015. 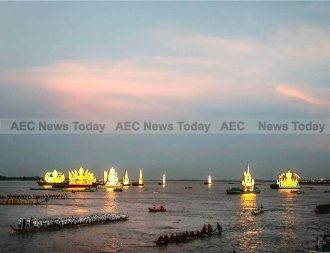 However, be warned, or advised. 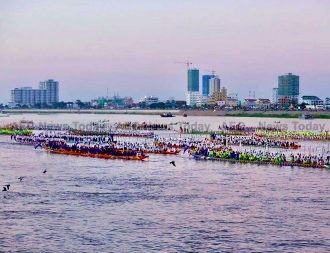 The Cambodia Water Festival is nothing like the chaotic ‘water festival’ in neighbouring Thailand, which has largely become an excuse for street water fights at the hottest time of the year. 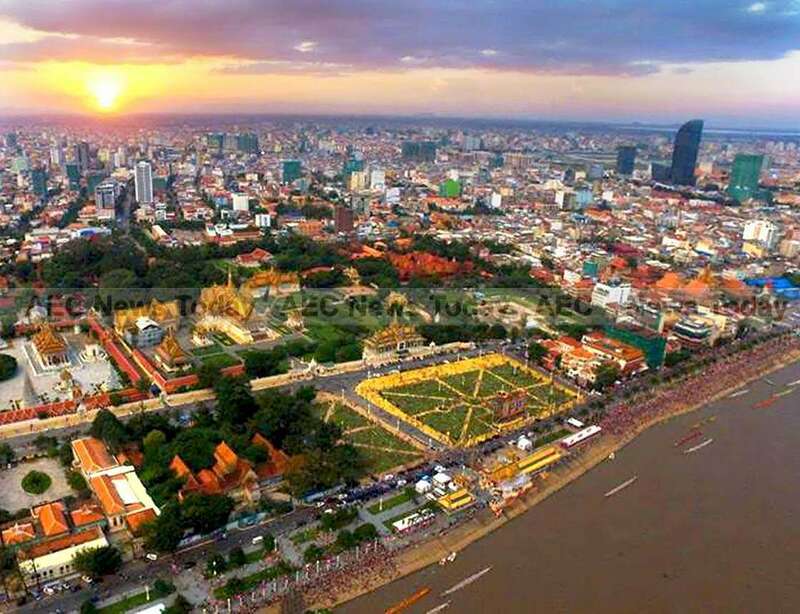 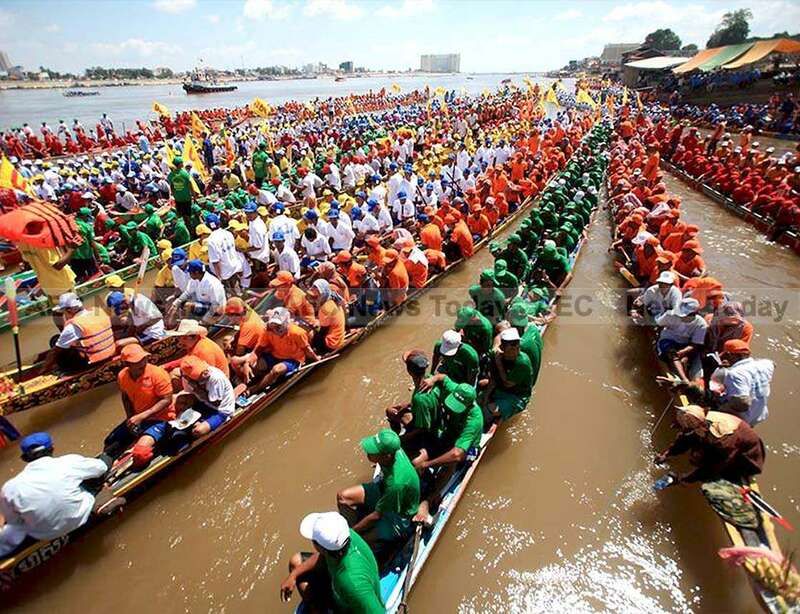 The Cambodia Water Festival is one of the year’s most anticipated events; a three day holiday which see’s large numbers of people from the provinces travel to Phnom Penh to watch traditional boat races on the Tonle Sap River in front of the Royal Palace. Held to mark the end of the rainy season and the reversal of water flow of the Tonle Sap River, the Cambodia Water Festival is one of the largest festivals in the kingdom, with its origins dating back to the 12th century when the naval forces of the Angkorian King Jayavarman VII gained victory over his Cham rivals. 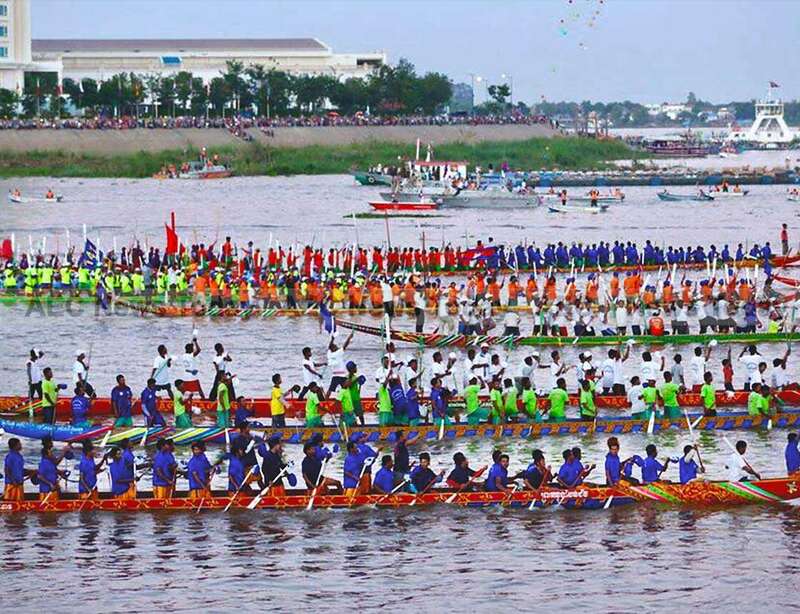 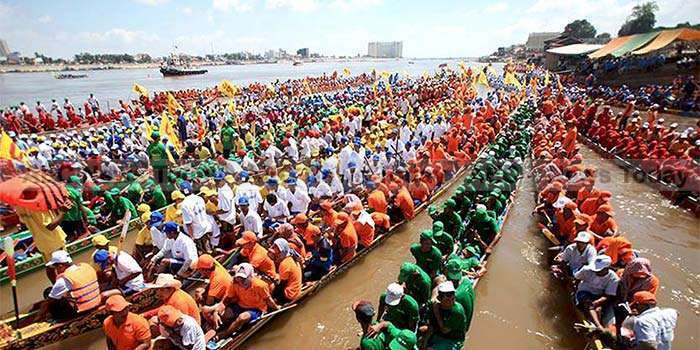 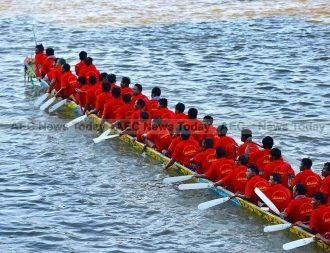 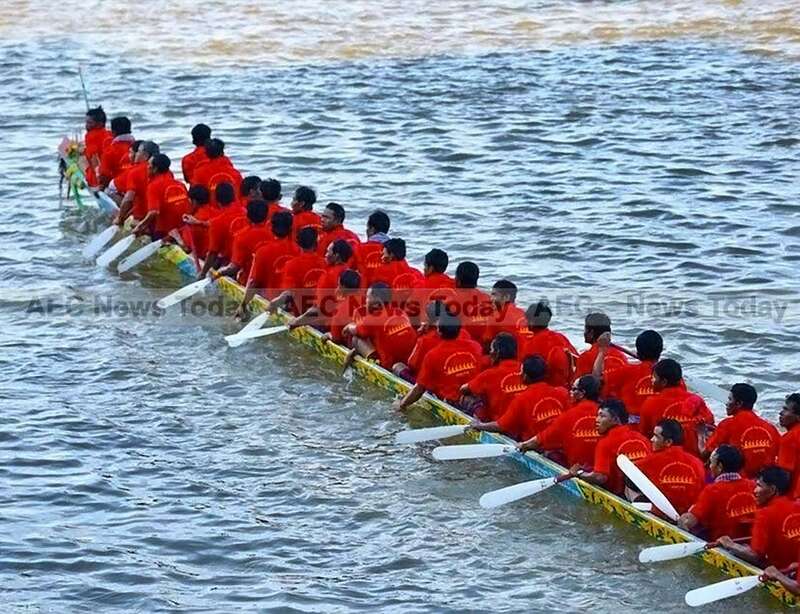 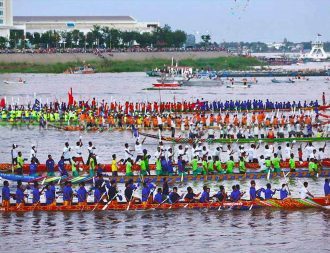 Some 250 boats paddled by about 17,000 oarsmen are expected to participate in the 2017 Cambodia Water Festival, which will be opened later today by Cambodian King Norodom Sihamoni, and Prime Minister Hun Sen.
Be warned though. 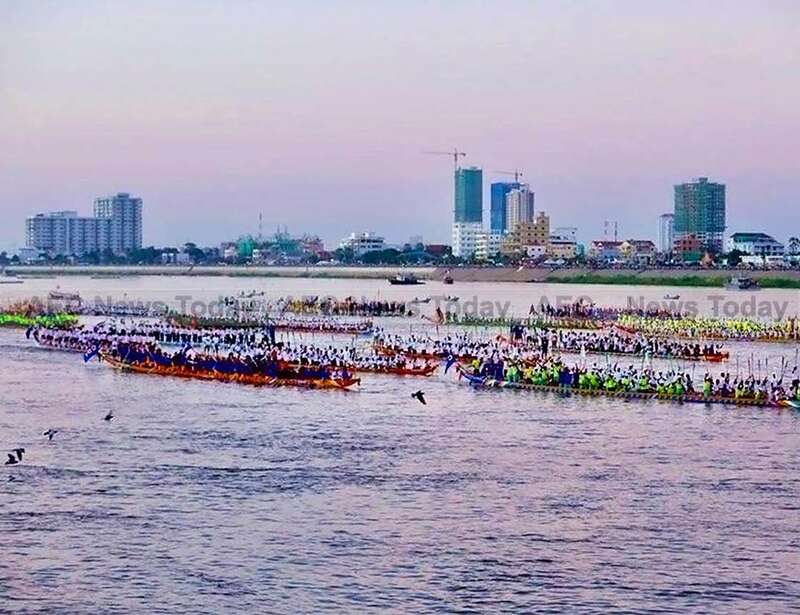 In addition to attracting large numbers of people curious to take a (often first-time) look at Phnom Penh during a major holiday, watch some boat racing and sit, eat, and chat, the Cambodia Water Festival is also a magnet for pick-pockets, and petty thieves. 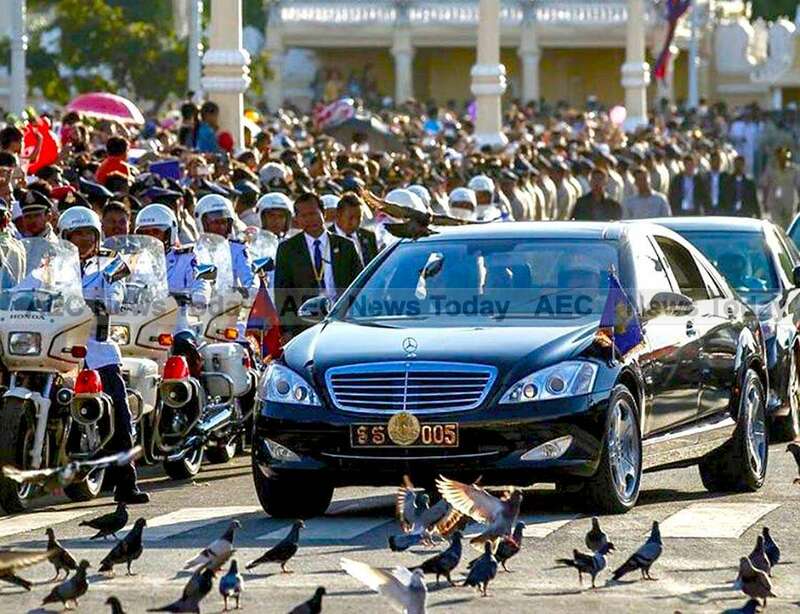 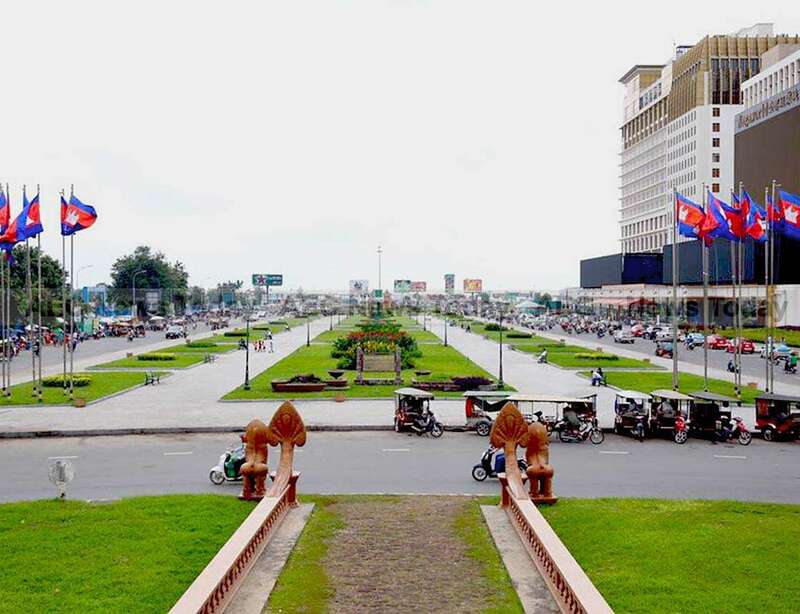 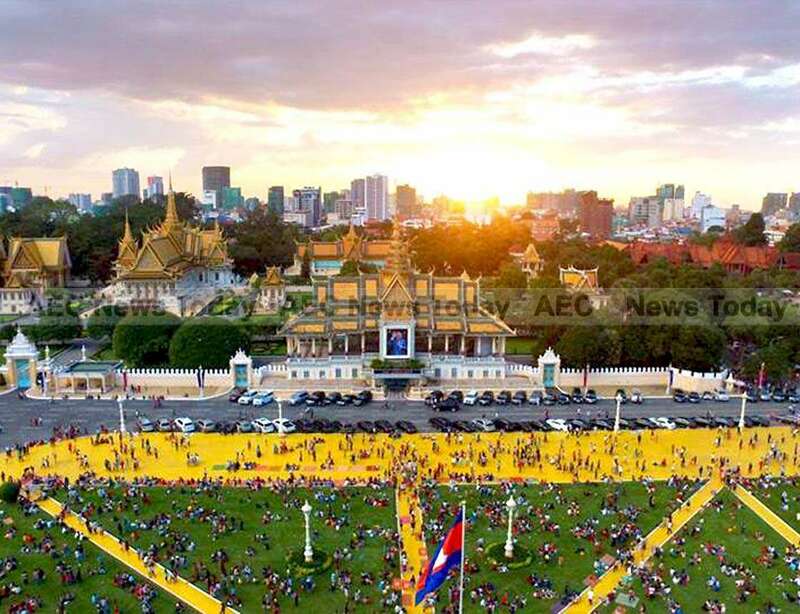 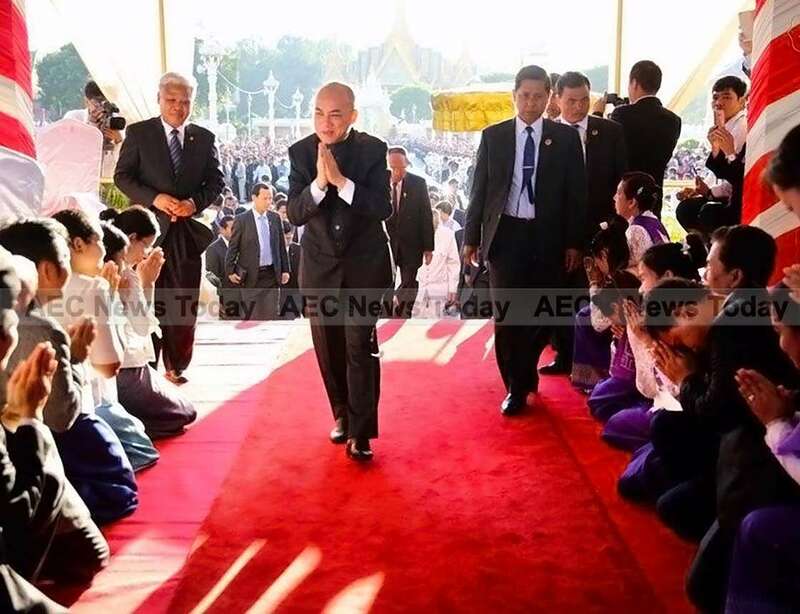 More than 10,000 security personnel have been deployed in Phnom Penh, but visitors to the event are advised to exercise a high level of awareness and personal security, lest they want their wallet paying for an expensive meal, a new television, or possibly a new motor bike for people they have never met. 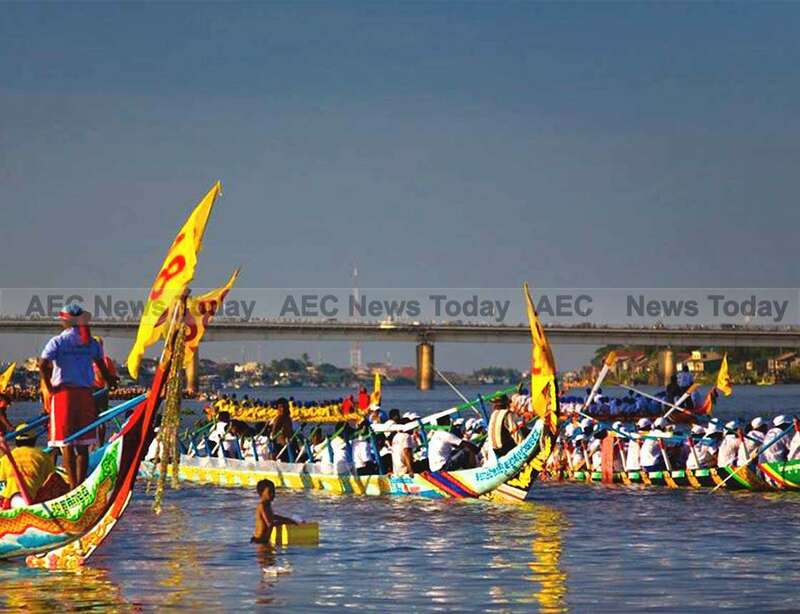 The best vantage point for visitors is along the Phnom Penh riverside of the Tonle Sap River, with the boats preparing near the Japanese Friendship Bridge (Chroy Changvar Bridge). The finish line is in front of the Cambodia Royal Palace. 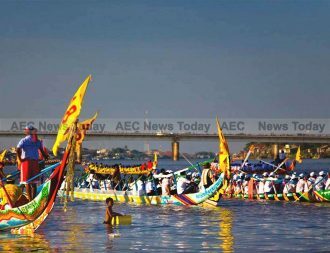 If you are still humming and haring about attending the Cambodia Water Festival we’ve dug up some photos to help whet your appetite.